Mumbai, considered by many as the city of dreams, is a place that perfectly blends history and contemporary times. Each year, millions flock to this beautiful city in search of opportunities and consequently, the demand for rental properties has boomed. Despite the increased demand for rental spaces, the city has managed to accommodate the migrants, thanks to the thriving real estate market there. If you are like the many who moved to Mumbai and is planning to settle in a rented house, here’s what you should know about renting in Mumbai and its adjacent cities. Like with any rental transaction, the rental agreement or in the case of Mumbaikars, the leave and license agreement is a vital document. 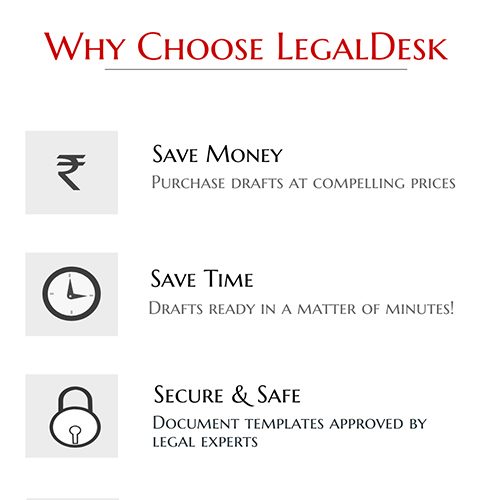 The leave and license agreement is a popular alternative to rental agreements in most Maharashtrian cities. Unlike the rental agreement, the latter pays more consideration to the needs of the Landlord and does not create “Tenancy”. What Is A Leave And License Agreement? Leave and license agreement is a document that gives the Licensee permission to occupy a Licensor’s (landlord’s) property on leave and license basis, as opposed to rental agreement which creates tenancy. Such agreements are known to make eviction easier and provide greater powers to the Licensor. These agreements are also different from leases which are known to create an interest in the property. And, unlike leases, leave and license agreements are not transferable because a license generates personal rights. In case you are unaware about the do’s and don’ts of creating such an agreement, you can try our pre-drafted, lawyer verified, leave and license agreement template which can be customized to suit your needs! As per the Rent Control Act of Maharashtra, 1999, a leave and license agreement between a licensor and a licensee must be in writing and must be registered under the Registration Act, 1908. This means that in all of Maharashtra and not just Mumbai, this rule is applicable. Registration essentially means that you are applying a seal of authenticity to the agreement which means that an unregistered agreement is only considered as collateral evidence by courts and never as primary evidence. In Mumbai, if you were to get your leave and license agreement registered by a lawyer, it could cost anywhere between INR 3,000 to INR 7,000 inclusive of lawyer fees. If you wish to do it yourself, the charges would be INR 1,000 if your property falls under Municipal Corporation and INR 500, if your property is in a rural area. Keep in mind that the agreement must be registered within 4 months of it being signed. For the uninitiated and technologically-challenged, there are other doorstep services which help you with registration. There are many Govt. approved e-service providers who help with the registration of your leave and license document from home. They currently provide registration services for commercial and residential leave and license documents. The resultant amount may or may not be rounded off to the nearest 100. Like we said before, Mumbai is a thriving, bustling city. For newbies to this place, finding the necessary things could be a pickle. If you are someone like that, then we’re glad to inform you that you can now prepare a leave and license agreement from the comforts of your home! All you need to do is fill in your details and customize our pre-drafted, verified leave and license agreement template. Then all you’ll have to do is print it on Stamp paper and proceed with registration as usual. We also have a host of other legal documents, some of which come with the facility to be printed on Stamp paper and delivered to an address of your choice. Go ahead, try it now!